As the Library of Congress' Ambassador for Young People's Literature, cartoonist Gene Luen Yang travels the country with a challenge for children: Read without walls. Yang wants young readers to read outside their comfort zone and explore beyond their usual favorites. That can mean reading about a character who "doesn't look like you or doesn't live like you." It's advice that's not just for children. 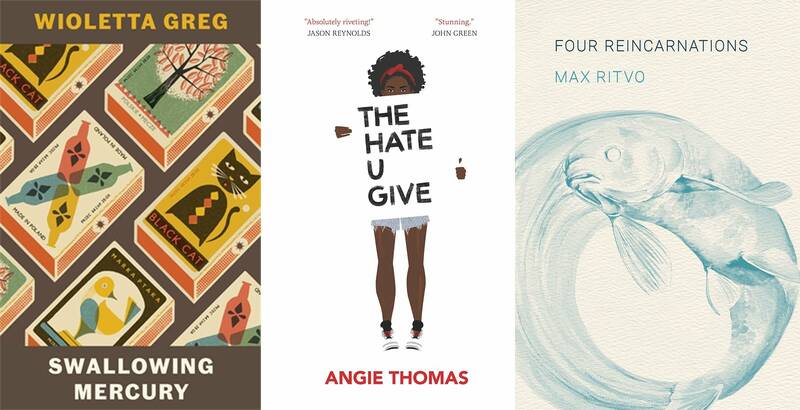 Kerri Miller never read YA until she was challenged to read four titles this summer, including "The Hate U Give." She called it one of the most meaningful books she read this year, for its youth perspective on police brutality. Anitra Budd said she wouldn't normally have picked up a poetry collection like this one — "what's he have to say to me?" — but Ritvo's honest portrayal of death caught her. The poet wrote the book while dying of cancer, and it was published after his death. Ritvo faces "death in a clear-eyed lyrical way that was scary to me at first," Budd said. But the book is "filled with so much light and strangeness and beauty. And coming out on the other side, I felt a little bit more healed, in a weird way." Matt Keliher recommends picking up literature in translation to break out of your comfort zone. He recently read "Swallowing Mercury": "this book is about Poland and the political climate there." Sarah Park Dahlen has read a number of books about "Black Lives Matter" and associated issues in the last year, as a contrast to other public narratives about the movement. More on the translation front: Both Kerri Miller and Matt Keliher recommend this "wonderful Western that would make Clint Eastwood happy." Keliher called it a story "about karma and mafioso," which was translated from Estonian. Sometimes reading without walls can mean reading beyond your typical formats. Take on audiobooks for a change. Sarah Park Dahlen called Miranda's reading of "Aristotle and Dante" "one of the best audiobooks I've ever listened to in my life." Also mentioned: "Love That Dog" by Sharon Creech, "The Crossover" by Kwame Alexander, "A Different Pond" by Bao Phi, "The Baron in the Trees" by Italo Calvino, "Cilla Lee-Jenkins: Future Author Extraordinaire" by Susan Tan, "Don't Call Us Dead" by Danez Smith" and "They Can't Kill Us Until They Kill Us" by Hanif Abdurraqib.